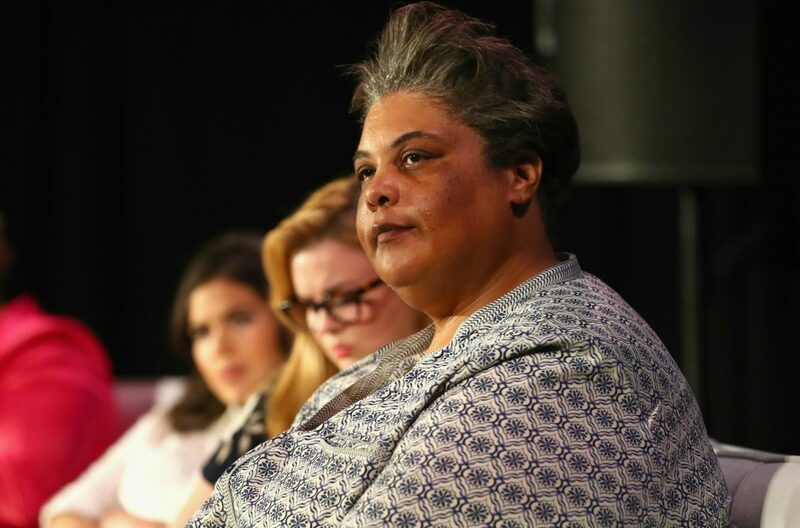 Roxane Gay has a powerful voice–and a packed schedule. The acclaimed author, whose works include Bad Feminist and Hunger: A Memoir of (My) Body, has a ninth book coming out this spring, a comic book on the way, film and TV projects in development, and a gig as a contributing op-ed writer for The New York Times. She somehow gets it all done while jetting back and forth among her home in Los Angeles, Yale, where she’s a Presidential Fellow, and her many appearances and engagements. (On her flight back to L.A. this week, she sat across the aisle from Barbra Streisand, whom she described as “shimmering” and “luminous.”) She even finds time to tweet prolifically. All this hard work–and all while being a black, queer woman in America in 2019–might be exhausting, but she has established herself as one of the best-known writers working today and developed a devoted fan base that appreciate her bracing, honest words. This month, she’ll share that wisdom at four public events in Los Angeles. First up, a New York Times talk Tuesday, where she’ll share a stage with fellow writers Lindy West, Emily Gordon, and Guy Branum, for a night of comedy, advice, and readings. The next night, she’ll join Amanda Nguyen, an advocate for sexual assault survivors who worked on the Sexual Assault Survivors’ Bill of Rights, which was signed by President Obama. The two will discuss survivors coming forward as part of the #MeToo movement, and a road forward for preventing sexual violence. Later in the month, she’ll be at the Museum of African American Art in Baldwin Hills with Marlon James, and at the Hammer Museum in conversation with author Tressie McMillan Cottom. As she prepared for those talks, we were able to catch up with her with a few questions about courage, diversity, and Vanderpump Rules. You’ve been living in Los Angeles for the last few years. What have you been enjoying about life here? I love the weather, the sprawl of the city, the diversity, the many really different neighborhoods and communities, the incredible murals everywhere you look, how there is always something to do, and the amazing bookstores. Just the overall vibe of the place. Every single day in L.A., I find some small marvel. These days, I don’t have a typical day, which is both a blessing and a curse. I generally start my day checking email, social media, and my calendar. When I am in L.A., I exercise and work out with my trainer, and then I dive into whatever meetings and calls I need to get through. I often have events in the evening. Sometimes I am traveling and I do a lot of work, be it email or writing or reading or grading, while on planes, because the internet is slow, I have nothing else I can do, and so I get right down to it. Your next book, How to Be Heard, will be released later this year. Why did it seem like the right time for a book that explores finding the courage to speak up? I am often asked, “How do I find my voice?” and in How to Be Heard, I want to answer that question as best I can. Now is an essential time for a book like this because the political climate is incredibly fraught and there are so many people who are being affected by the decisions of the Trump administration. Their stories, their truths deserve and demand to be told. Another of the many things you’re working on is a new comic book series, The Banks, with start-up publisher TKO Studios. How is that project going? The Banks is a caper story about three generations of black women who are master thieves and plot to make the heist of a lifetime–while also exacting revenge on a man who did something unforgivable that changed the course of their lives. It has been wonderful working with TKO Studios. I’ve been given a lot of creative freedom and I get to have input on all aspects of the process. I can’t say enough good things about them. After your work on the comic World of Wakanda, does seeing the success–and now even Oscar nomination–of the Black Panther movie give you any hope that Hollywood is serious about becoming more inclusive? Not really. There is so much work yet to be done. I am encouraged, certainly, but as long as we’re still naming the exceptional movies, we’re living in a world where diverse creators have to be exceptional to even get a shot at telling their stories. I want to get to a place where it is no longer newsworthy when a diverse creator has made interesting art. I want to get to a place where there isn’t so much expectation placed on the shoulders of diverse creators, where we are allowed to make flawed work and still work again. I sure hope we reach a point where we expand our understanding of diversity beyond black and white, and even queer and straight. There are so many ways of being in this world, and all those ways of being deserve to be seen and heard. At your appearances this month, you’ll be talking about topics of trauma and survival. How do you balance what you share publicly with an audience, either in person or in your writing, with preserving emotional space for yourself? I have very firm boundaries and I hold true to them. I may seem like I am very open, but I am only sharing with my audience what I want to share with them. In truth, I am a very private person and I value my privacy a great deal. When I disclose personal things, it is in service of my work and what I am trying to say. You’ve mentioned that you’re a fan of Vanderpump Rules. What makes it a fave? It is basically the Seinfeld of reality television. Nothing happens, but that “nothing” is incredibly fun to watch.